I’m a big believer in starting your baby on solids with a fresh whole food rather than a bland baby cereal. 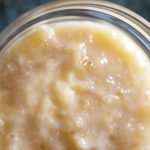 Banana puree is one of the best first foods for baby and no cooking required! Introducing your baby to solid food is not just about teaching her to swallow food from a spoon, it’s also getting her excited about mealtime. The best way to accomplish that is by exposing her to as many yummy tastes, textures and aromas as possible. Baby cereals on their own are fairly bland tasting and are certainly not as enticing as a fresh fruit or veggie puree. It is full of nutrients, is easy to digest and is not allergenic. Bananas are binding and can be helpful when your baby has diarrhea. They are also a comfort food and can be soothing when your baby isn’t feeling well. Look for bananas that have a nice yellow color and some brown speckles. Under-ripe or green bananas do not have the same flavor or creamy consistency as ripe bananas, allow them to ripen on your counter. Suitable for babies 4 months and up. 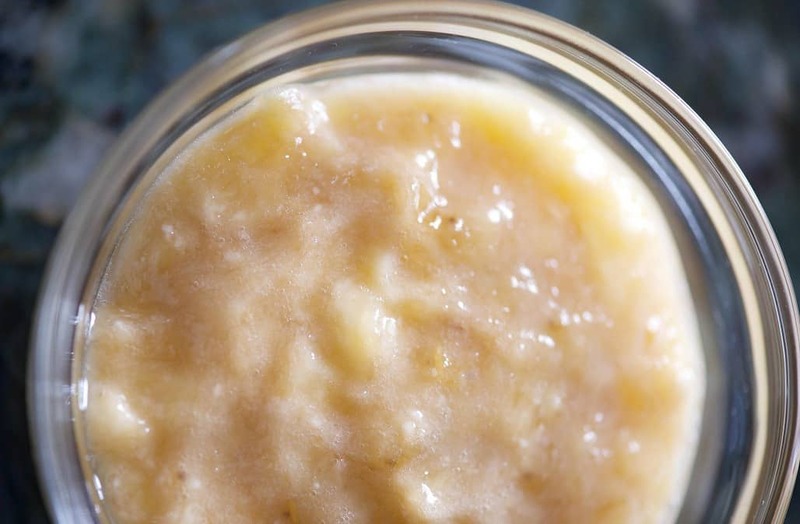 Banana puree tastes great at room temperature, warm or cool. 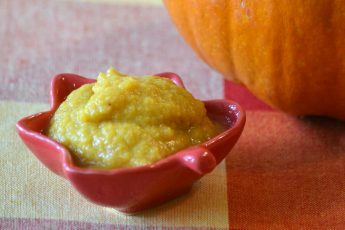 For a creamier consistency with added nutrition, mix the puree with a little breast milk or formula and a baby cereal (rice or oatmeal) and serve warm. For extra flavor, add a pinch of cinnamon. Peel the banana, break it in half and place in a bowl. Blend until smooth using your Sage Baby Puree & Blend and serve. 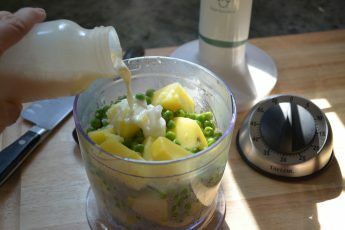 Add breast milk or formula, if needed, to thin puree. 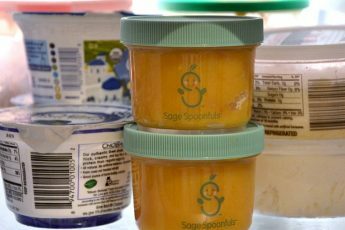 Banana puree can be stored in Sage Spoonfuls jars or Sage Squeezie for 1 day in the refrigerator and up to 3 months in the freezer. Some discoloration during storage can be expected.